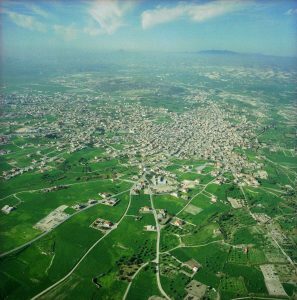 Located at the outskirts of Larnaca – the third largest city of Cyprus – Aradippou municipality is a small town with a big vision. Thanks to its small size, its rather homogenous building stock mainly consisting of single family houses, and its Mayor’s ambitious vision, the city has the flexibility and the political will to test innovative financing solutions in Energy Efficiency. As a part of Aradippou’s Smart City project, the municipality has already set up a soft loan with preferred terms for photovoltaics in collaboration with the Cyprus Cooperative Bank. 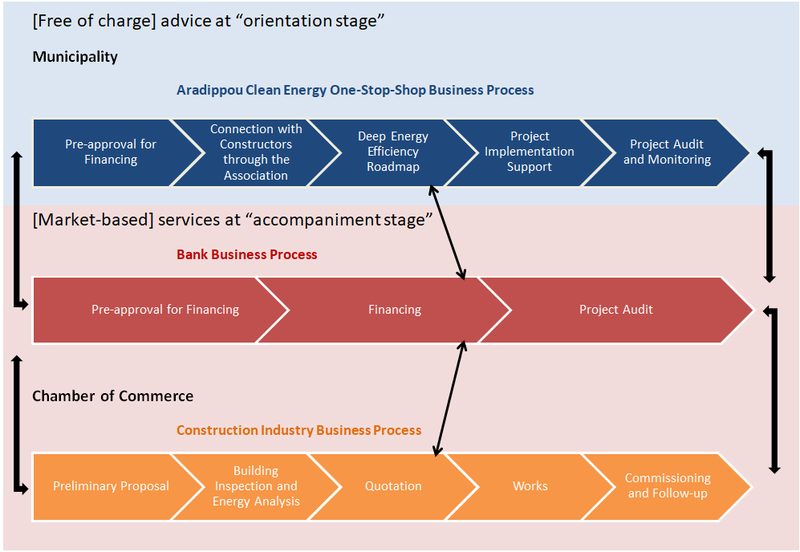 Through its participation in the INNOVATE project, Aradippou does not only want to develop an equivalent financing scheme for energy efficiency, but is working to set up a comprehensive One-Stop-Shop service with various public and commercial partners to accompany citizens throughout their energy efficiency renovation process. While access to appropriate finance for such renovations through commercial banks regardless of income does not represent a major barrier in Cyprus, the island is still recovering from the last financial crisis which sensitively affected salaries, employment, and the construction industry as a whole. Between 2008 and 2015 the construction sector lost 65% of its value – a severe shock from which it is only slowly recovering. In addition, the crisis has made Cyprians much less willing to spend significant parts of their income on renovation works. In this perspective, encouraging investment in energy efficiency measures and making different companies from the construction sector collaborate around the project of a One-Stop-Shop, is also an opportunity to help the local economy recover from the disruption. 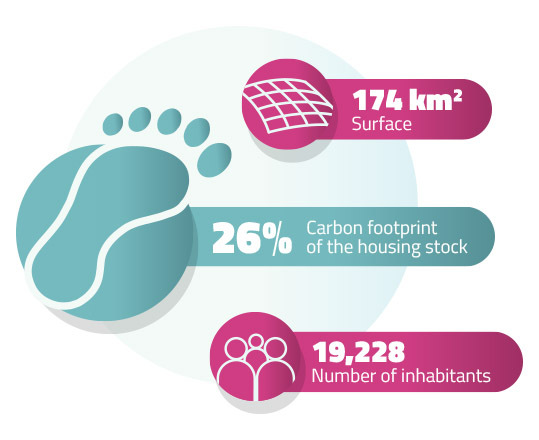 Such renovations are incidentally urgently needed in Aradippou municipality, where 91% of the housing stock was constructed between the 1980s and early 2000s, without any legal obligation whatsoever for thermal insulation or other minimal efficiency standards. 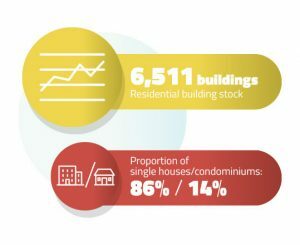 Despite the low energy performance of the buildings, their relatively recent construction does not incentivize the owners to engage in deep renovation works. In order to overcome this technical barrier, the municipality is focused on identifying starting points for energy efficiency actions by looking to include them into other necessary construction works, for example integrating thermal insulation when a roof has to be fixed. Furthermore, the recent construction of many homes has the advantage that the original architect is still known and can assure the quality of the works to be implemented. This also creates trust for the homeowner that the renovation will have the wished resulted. For the launch of its One-Stop-Shop Aradippou has set itself a target of renovating 10 houses under the INNOVATE project. This will provide a starting point to build a sustainable business model which can continue operating beyond the duration of INNOVATE. The services to be provided through the One-Stop-Shop are the development of personalized refurbishment products, independent advice and technical assistance, tailored financial advice, coordination of suppliers and contractors, and monitoring to ensure high quality service from all participants. The dual INNOVATE model distributes responsibilities between the municipality and the market. That means that the municipality provides advice and orientation, including an energy check of the homes, free of charge and acts as a coordinator for financial institutions and construction companies, which then however take over the accompaniment of the homeowner during the implementation of the renovation works on the basis of free market competition. Concretely, Aradippou is dedicating space in its town hall to these services and is setting up a hotline where citizens can ask for advice. As a pilot action within the INNOVATE project and in order to stir demand and mobilize citizens, the city is considering to award a local tax credit and discount vouchers to a limited number of homeowners on a first-come, first-served basis. The city will thus incentivise citizens by lowering the cost of investment. Infrastructure for cooperation with banks is already in place through the city’s experience with the renewable energy soft loan scheme and the coordination of the suppliers and contractors will take place through the Larnaca Chamber of Commerce and Industry. The recent acquisition of the Cyprus Cooperative Bank may cause some delays to re-establish cooperation with the bank’s new governance, however the horizontal nature of local tax credits in the form of an interest rate subsidy for citizens (an action proposed by INNOVATE and currently under discussion in the Municipal Council), enables the cooperation with all banks and their loan schemes, providing a broad spectrum of financial solutions. By successfully putting all these elements together, Aradippou aspires to create an innovative model which can be expanded to the entire region.